When it comes to download large files from the Internet, you’d better rely on download managers. A good download manager software will help to speed up your downloads and keep them organized. And you are able to schedule, pause and resume downloads, download files in a batch mode, etc. Internet Download Manager also known as IDM has been considered one of the best download managers available to download any files from Internet. Internet Download Manager provides many cool features like download speed acceleration, download resume, schedule downloads, multiple downloads, browser integration, and much more. However, even with all the good things it has to offer, users might not want to prefer IDM because it comes at a price that starts at $11.95/year. If you download a lot, you may like to try free download managers. In this article, we have covered a list of the top 5 best free IDM alternatives. Just have a look and get the best free download manager according to your choice. JDownloader is undoubtedly the best free alternative to Internet Download Manager. It is a free and open source download manager that works for Windows, Linux and MacOS. The user-interface of JDownloader is quite similar to IDM and you can do almost all task which IDM can do for you. You can schedule downloads, pause and resume downloads, set bandwidth limitations, and so on. The coolest feature in this program is the remote management ability, which allows you to start, stop and monitor your download from anywhere. It is really simple to use. You can add any download link from the clipboard directly into the program and immediately start the downloading process. The setup might ask you to install other programs that you might not want, so you’ll have to be careful when installing it. EagleGet is one of the best alternative to Internet Download Manager that you can get from this list. 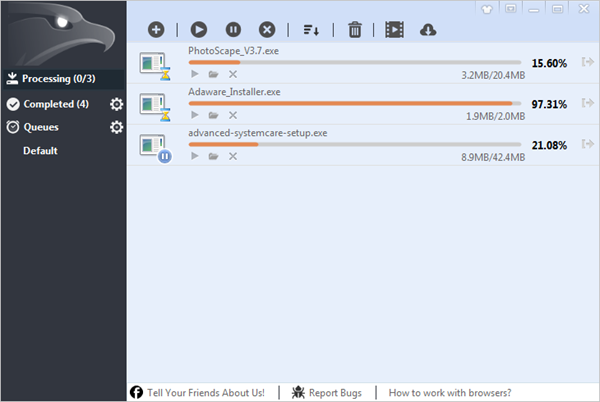 It is a free all-in-one download manager with really clean interface, and can be integrated to Chrome, IE, Firefox, Opera and offering support for HTTP, HTTPS, FTP, MMS, and RTSP protocol. More features of EagleGet including scheduling downloads, pausing and resuming downloads, importing and backing up download tasks, adding URLs in batch, downloading from torrents, scanning for virus, auto-categorizing downloaded files, and much more. However, this free download manager is only compatible with Windows. And it might force you to close down your web browsers upon installation, so please make sure you’ve saved your works before get started. Free Download Manager (FDM) is a great free Internet Download Manager alternative which is quite popular among the users all around the world. This program works with both Windows and Mac, and is able to intercept downloads from web browsers like Chrome, Internet Explorer, Firefox, etc. Same as IDM, FDM offers almost all the features including batch downloads, download torrents, resume broken downloads, schedule downloads, control the bandwidth allocation, and much more. The user-interface is very simple and intuitive. One thing to note: your antivirus program might identify Free Download Manager as malicious and block it from installing on your computer. Another free IDM alternative is Internet Download Accelerator, also known as IDA. This free download manager is developed by a Ukranian company called WestByte. 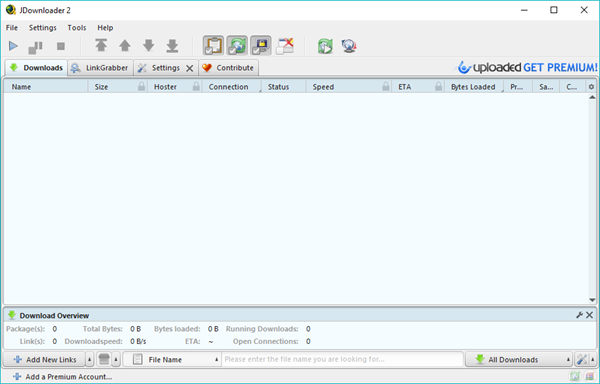 Just as the name of of this tool suggests, it integrates with web browser to provide the usual download features and uses the file splitting technique to accelerate the file downloading speed. Internet Download Accelerator has added support for downloading videos from popular video hosting services and the ability to play a video while it’s being downloaded. Also, it can grab a group downloads based on URL variables and automatically scan for viruses after downloads. However, the free version of IDA contains ads. If you want to get rid of the ads and get access to more features, you should upgrade to the pro version at $9.95. 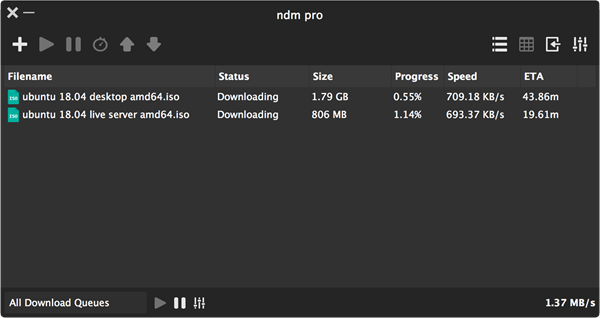 Looking for free alternatives to Internet Download Manager, Ninja Download Manager (NDM) can also be a great choice. It is a Chrome extension instead of a standalone program, which serves the same purpose as the IDM serves to its users. As an extension, you don’t have to download any program to your computer. Simply add Ninja to your Chrome browser, then you’ll be able to download files faster without any problem. This free IDM alternative has modern user-interface as well tons of powerful features. You can pause, resume, speed up downloads, limit download speed, and preview audio or video file before the download completes with its sequential file writing feature. Please note, you can add Ninja Download Manager in Chrome web browser only. If you prefer to use other browsers like Safari, then this is of no interest to you. These are the 5 best free alternatives to Internet Download Manager. If you are the one who needs to download files frequently in daily life, then these free download managers are really great choice for you. All these programs are safe to use and able to accomplish your download needs very easily. If you got any other suggestions for free IDM alternatives, feel free to let us know in the comments section below.